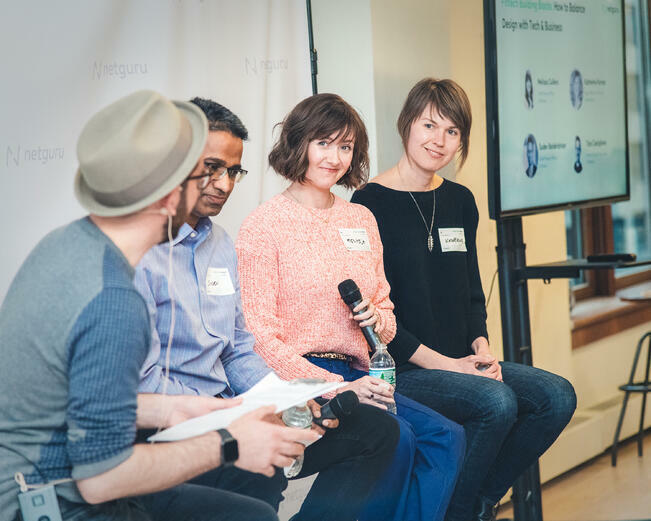 Everything from growth in fintech, AI, building effective product teams, to international expansion - we were lucky enough to host 11 speakers from Betterment, Stash, Ellevest, Plaid, Payoneer, Dataminr, OakNorth AI, Currencycloud, N26, Revolut, and Transferwise. See how it went - just an overview for now, you'll get you more insights in a separate series of blog posts. We’ve learned how to balance design with tech & business and why it’s vital to incorporate diverse viewpoints when building products and conceptualizing CX. All of these products - Betterment, Stash, and Ellevest - have a human-centered approach right at their core. All of our speakers highlighted the need to have as diverse a team as possible. Having a diverse team really helps sympathize with consumers - said Katherine Kornas. It was followed by hiring advice from another panelist. I don’t wanna hire another me. If we had a team of cheerful white women from Brooklyn, then we’d make a great product for cheerful white women from Brooklyn. - Melissa Cullens, Chief Design Officer at Ellevest, wrapped it up nicely. Then we jumped on the hyper growth wagon with two fintech unicorns working in the B2B environment. 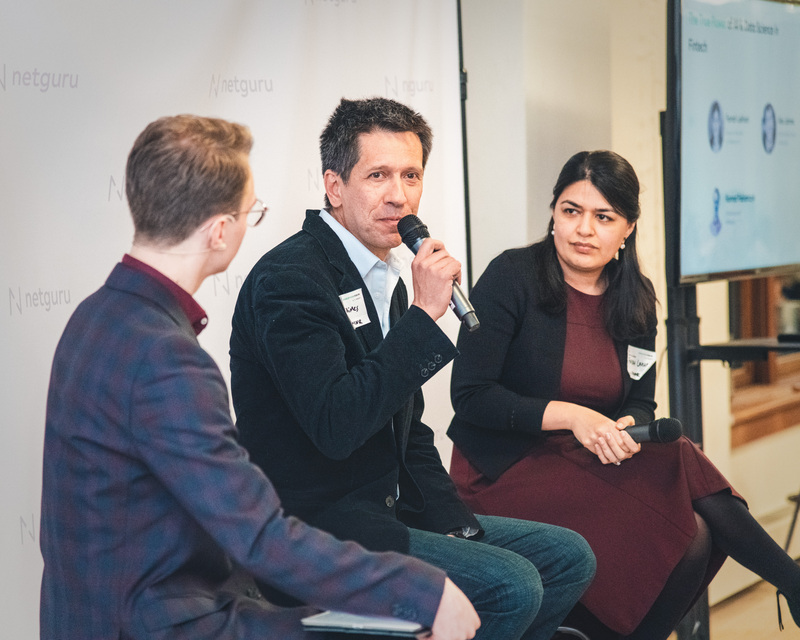 Jody Perla, Managing Director Global Banking at Payoneer and Charley Ma, NYC Growth Manager at Plaid, discussed their growth stories and the lessons they have learned along the way. 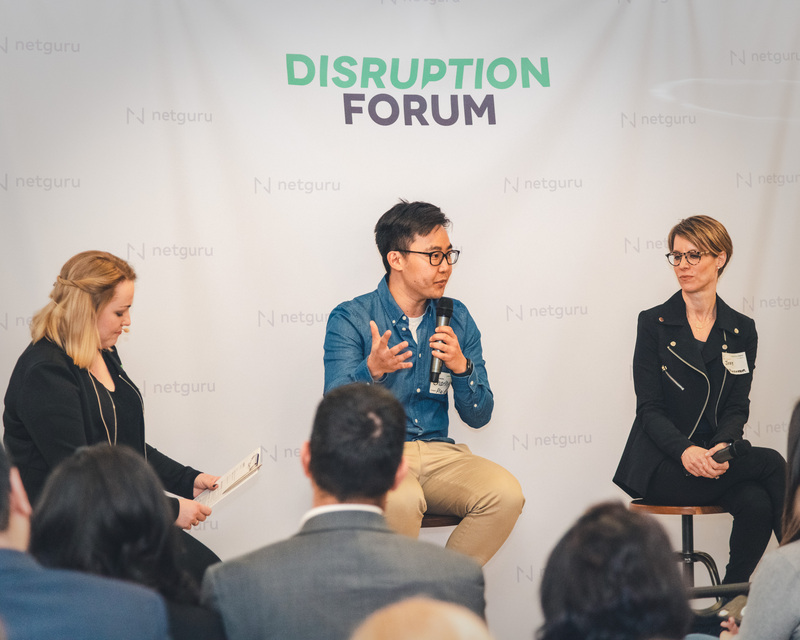 During the conversation, we’ve distilled the different aspects of growth - processes, but also infrastructure, the guts of the system needed to support the scaling of the company. Also, it turned out that you need to support globalization with local teams. The way that we’re growing is by empowering and building local teams on the ground all over the world. In order to do what we need to do, not only from a regulatory perspective, but also from a customer engagement perspective, you need to be on the ground locally, said Jody Perla. Charley Ma was one of the early employees at Plaid; he witnessed the growth of the company from 13 to over 300 people. In any sort of hyper growth company, you need to assume that half the processes at the company are broken. The process you’ve put in place at 13 people, breaks at 20 people, the process you’ve put breaks at 50, etc. We’re getting comfortable with the fact that processes will break. But at the same time, you need to be sure about things that can’t break. For us, one of these things that can’t break is culture, he added. One of the hottest topics on the financial industry’s radar today is Artificial Intelligence. But the verdict is still out and both corporate executives and the public are still trying to figure out whether it is more than a fancy buzzword. Farrah Lakhani, Director of Growth and Operations at OakNorthAI, together with Alex Jaimes, SVP of AI & Data Science at Dataminr, discussed how AI can help finance companies with massive, complex databases extract actionable insights from their data. “I ask ‘How are we doing this faster with this data?’ How does this add to our value proposition? This helps me get through the wall of lingo,” added. Alex Jaimes from Dataminr noted that while there are tremendous benefits of using AI, there is still much work to be done. 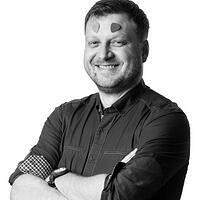 “The biggest challenge is lack of education across the board. There are many misunderstandings about AI, what it can do, and what it can’t do. Having a balance between what is real and what is not is really crucial,” he added. We closed the panel sessions by four different fintech unicorns to the stage - N26, Revolut, TransferWise, and Currencycloud. They have one thing in common - they all originated in Europe. We were discussing different challenges of entering the US market: TransferWise and Currencycloud have been active on it since 2015, while Revolut and N26 are yet to launch their cards and accounts there (presumably in the first half of 2019). They were different perspectives shared, but all panelists agreed on one point - in comparison to Europe, dealing with compliance and bureaucracy is much harder in the US. After the financial crisis in 2008, the regulators decided to play tough on the banking industry. The UK went the opposite way and made it very lax for fintechs so they could compete with banks - noted Arshi Singh from Currencycloud. In the hour-long conversation, we tried to figure out what are the European fintechs’ strategies and approaches toward the US market. We discussed the future landscape of banking and the possible scenarios regarding the Big Four in Tech (Amazon, Apple, Facebook and Google) entering the financial market. 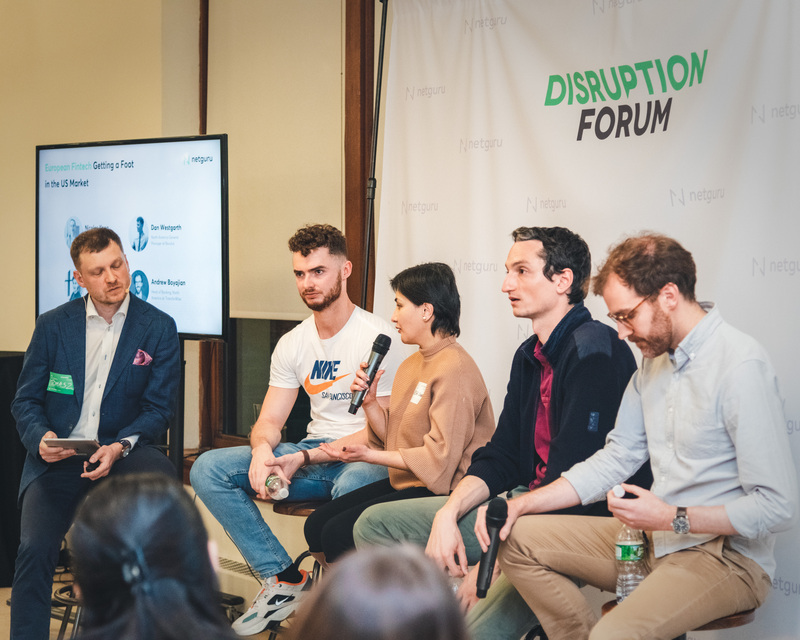 Stay tuned to our blog for more insights from our #DFNY19. We’ll share details from each panel discussion pretty soon.